The Michael Bay version of GW2. Do we really want that? In my previous post about GW2’s “Point of No Return” episode, I explored the issues I had with the plot and character development. I wasn’t sure what kind of response I’d get, though I did expect some people to speak in defense of the game (which is fine). What puzzled me, though, were responses that told me that players really don’t expect a good story from the game, so they aren’t disappointed by what little the game provides. Well, I guess because I have really, really low expectations of the storytelling in any video game. In thirty-five years of playing them I can’t recall a single example that goes beyond the standard you might expect in an example of a middling genre narrative in another form and even that would be the exception. Mostly, video game writing, particularly when it comes to character development, is about on a par with the old Saturday Morning Cartoons. If a character gets two personality traits instead of one that counts for depth. I’ve long since come to terms with ArenaNet’s “variable writing quality.” I guess as a hobbyist writer it’s easier for me to ignore the majority of those fingernails-on-blackboard moments. I’ve been dealing with my issues by iterating on my own fictionalized account of my main character’s involvement in the story until I reach a point where it makes sense. Sometimes that takes a while. I just want to note that I’m not here to try to tell anyone how to enjoy their game. I was really interested in the fact that these two bloggers, whom I respect as fellow writers, choose to selectively ignore mediocre writing in order to get enjoyment from a game. Not an MMO, but this game made me really feel! I wonder to myself, though, why? Shouldn’t we, in a time when gaming is becoming a more mainstream form of entertainment, hope to get enjoyment and at least a pretty solid story along with it? If we choose not to expect anything from the story in a game, if we remain content with what we’re given, then why should the writers/developers ever need to strive for better quality writing in MMOs? I know it can be done with the gaming media. I’ve played plenty of games that have brought me to tears, made me laugh, frightened me, made me truly love the characters, and took me on a wild ride of imagination. I don’t expect award-winning writing in MMOs, but I do think that when a game touts something like a “Living Story” with… you know, the word “Story” being part of the title… that something like a logical story (maybe) would be an important focus. I’m not writing this pretending that I’m the best writer in the world (I’m not). I’m also not writing this believing that I know anything about what it means to be a professional story writer on a game development team. But I do know what it is to work daily as a technical writer for a software development team, and I believe that the basic structures and expectations are fairly similar. When I write something, there are a lot of expectations for my work to not only be factually accurate, but to present information in a way that is customer-friendly and easily understandable, even for a low-end user. I have expectations from the devs, testers, training, support, sales, public relations, my editor, my boss, my boss’s boss… and lastly, most importantly, from the customers themselves. If I fail to pass the expectation check with any of those people, I don’t just shrug it off and put the writing out there. No. I revise until I get it right. Especially if it’s a customer who has a beef with the content. That being said, I have to wonder what kind of process MMO writing goes through before it hits the screen. In the case of GW2, they’re pushing to release content so fast that I’m curious the kind of deadlines the writing team faces. Afterall, the writing has to come before art can be fully implemented and voice acting can be recorded. How does the creative process work? Do the writers have the freedom to write whatever they think works best? Or does someone dictate the overall plot and tell the writers that they have to figure out how to get from point A to point B? Are there reasons the story is the way it is that are out of the writer’s hands? Where’s the editor in all this? Certainly a full team of professional writers and editors can see illogical plot choices and forced character development… if us gamers can identify these things! I wish I knew the answers to these questions and where things are getting snagged up. Because I know MMOs can do better. Again, I’m not looking for award-winning writing in my games. But I know solid writing is out there. Guild Wars 1. Okay, so it doesn’t have the flashy, up-to-date graphics and amazing explosive cut scenes that GW2 has. But the story (with the exception of the Kormir issues in Nightfall) was overall solid, logical, and made the player character the central heroic focus (especially in Prophecies). I’m not going to say it was perfect, but I rarely had the kind of issues with GW1 plot that I do with GW2. Given the game’s age and the time in which GW1 was released, it really worked to build the gameplay around a strong, central story, which was something I appreciated. For example, GW2 writers could have looked at Shiro Tagachi to see how to build up a bad guy you feel some sympathy for, yet hate at the same time. Sure, some of the Factions story execution was rough around the edges, but it wasn’t the huge Mary Sue mess you got with Scarlet that left many people just sick of seeing her in every new episode. She became more interesting to me after she was dead, and that’s a problem. FFXIV. You do have to get used to the flamboyant language, but it’s one of the better written MMOs, in my opinion. Of course, you have to deal with the quirks that come with Japanese storytelling, but having been a FF fan for years, this doesn’t bother me. What you do get is a logical plot, decent NPC representation, and a story that knows how to highlight the player character as a very important hero in a world of adventurers. Once I realized this game doesn’t take itself too seriously, I was okay with what was going on. 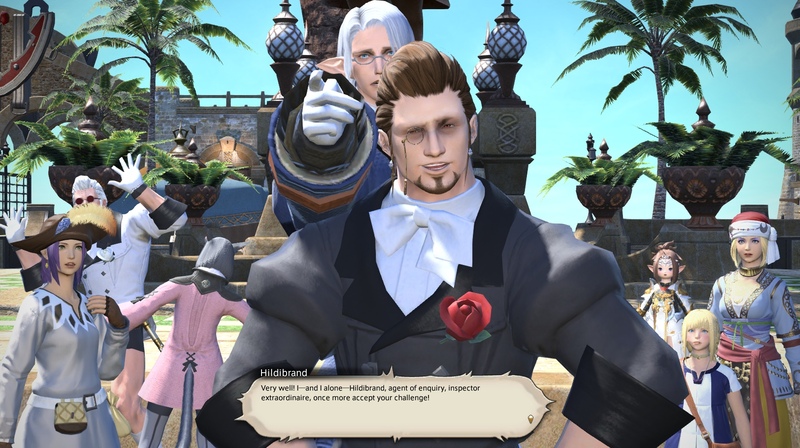 The addition of side stories, such as the Hildibrand quest lines, are some of the most fun and well-presented cutscenes I’ve experienced in a while. It’s almost like playing through a quirky TV show. Even the holiday quests have a small plot line, which is usually quirky, but quite often has a progression where your character helps an NPC work through an issue or come to an understanding of some sort. That’s something I really appreciate about this game. The Secret World. When discussing story in MMOs, I can’t leave out one of the obvious champs. The writing is an acquired taste: dark, edgy, experimental… has been known to leave internal shivers in my mind and send me to wikis to learn more. Developing story and a world with amazing NPCs is a central focus in TSW, and it’s the thing that keeps me returning to the game eagerly. It may not be for everyone, but the environments and characters are memorable to me, and I’m more than willing to overlook a rather rough combat system to indulge in the secrets the writers weave through their world. We’re seeing a shift in entertainment media, such as television, where a strong story and good character development are becoming recognized and appreciated. I feel this is a good thing. Many indy games see promise in what a strong story foundation brings to their games. And slowly, I think we’re seeing story becoming more important to MMOs, too. Players aren’t entertained by fetch, kill and fedex quests anymore. Building a living world where player characters matter in the overall big picture is becoming important. I don’t think gamers, or MMO writers, should settle for mediocrity simply because that’s what’s always sorta been. I feel MMOs need to step it up and continue to strive for excellence in all aspects of writing: a balance of solid plot and character development. Maybe GW2’s living world is a start of something ambitious that just hasn’t quite come together for them yet. It’s the first time I’ve seen an attempt to release fairly regular story elements on such a tight deadline. Maybe quality is suffering because they’re pushing to release content so quickly, which is another argument for why an expansion type release may prove better. I’m sympathetic to this, but I’ll also call it as I see it. I know if I were the writer on this team, I’d WANT to know what I needed to fix. I wouldn’t be content just to throw forced plot and character development to my customers and call it a story update. Expectations regarding story and character development differ between genres for me. For anything that carries the title ‘RPG’, I basically expect novel-quality writing. It doesn’t have to be prize-winning prose, but the story should be good enough to carry the game. For adventure games, I expect a solid plot, though not necessarily deep character development. Action and strategy games can get away with much less, as long as the gameplay is solid. And it’s quite possible to have an excellent game with zero story. MMORPG’s are a difficult genre to write for, I think. The RPG element would make the player the protagonist, but the MMO element prevents the player from being ‘the one’. Any kind of fantasy where the player is the hero that must save the world just falls apart in a setting where thousands of others also save the world. GW2 provides a perfect example here in it’s personal story. It started out very well: In the early levels, this really is a personal story. 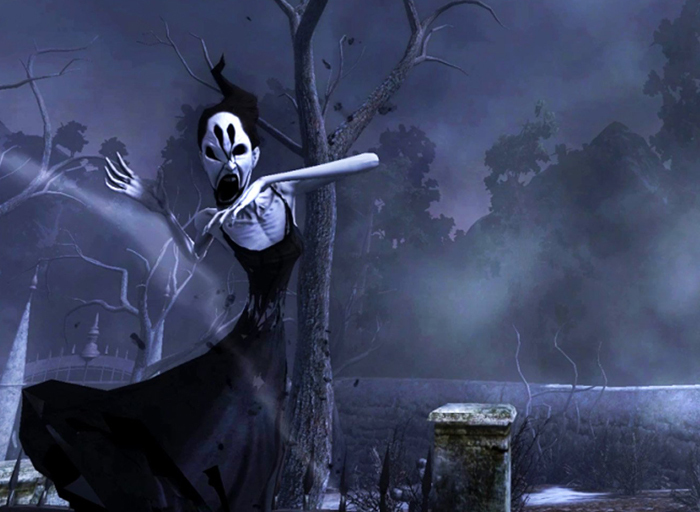 It is defined by the background and choices of your character, and other players will have different stories to play through. But soon, it all converges and everyone gets to be the same world-saving hero, alongside everyone else. I see the living story as another experiment in MMO storytelling: rather than focus on the individual player as protagonist, it tries to take a much grander scope of world-changing events. Again, I see a devolution over time, although maybe I’m one of the few that actually liked the flame&frost arc, including early stages, more than anything that came afterwards. There’s definiately a challenge in writing for MMOs. I have to say, though, both FFXIV and The Secret World have found a logical way to make your character special while explaining why there are many other special people in the world with you. It didn’t have to be complex, and I was pleasantly surprised on this account for both games. I can’t say anything about those two games. The point is: I think both the Personal and Living Story started out quite well, but completely lost track along the way. For the Personal Story, I’d guess it’s simply too resource intensive to keep giving everyone a personal story. For the Living Story, yeah, it feels more like a rough draft than a well thought out story. As such, my guess would be that deadlines are the main cause. I agree. The end of the Personal Story, in particular, was really disappointing. Especially since it did start out so well. Back then, though, I was willing to let it slide because I was more concerned about getting level cap than how rough the story became. I don’t have the gameplay and leveling elements to hold my attention anymore. So story is all that’s left. Just a nitpick: the text used in FF14 is actually written in English first and then translated into Japanese. (What?!) That’s why the language we get is so adorably (and borderline cloyingly) complex and diverse: the gentleman responsible for writing the text is an uninhibited linguistic wordsmith. The Japanese localization team is actually now going to start stepping up and translating the spirit and the text of the English much more faithfully – previously the Japanese text of quests, for example, was pragmatically straightforward and lacked the flair of the English. With regard to GW2, the writing is one of many elements. If the writing isn’t the peerless star of the show, I can see why really good writers might not be so interested in sticking around. But that’s just conjecture on my part. It doesn’t have to wow me in every area and I don’t expect it to. GW2’s combat has depth whereas the story is craptastic; TSW has been lauded for its excellent story and frowny-faced for its 11211122111222 combat. Of course I’d take GW2 with a well-written story over the current version all day, every day. Great expectations can’t make up for management calling the overarching plot shots or the realities of working with a smallish Living Story team or any number of other contributing factors, though. Wish I knew how to get them to turn their writing into something more worthy of the moniker “Living Story.” For now the Living Bus Ride is heading into the Heart of Thorns. We’ll see which main characters get on board and disembark at the next stop. That’s something I didn’t know about FFXIV – very interesting! I wonder why they chose to do it that way? I always thought it was the other way around, because, for example, I read a post about how they decided to keep the name “Astrologian” for the new class, and the translation thoughts that went into the meaning behind the name. It was a pretty neat read. The problem with GW2 is, they do call their updates a “Living Story,” so it’s kinda fair to expect the story part of it to be an important element of the game. To me, it’s the most important. It’s what sets the stage for everything else I do. Lately, battle mechanics with the Mordrem have been so frustrating to me that story is the only thing I’ve been coming back to participate in. I’m with you. I wish I knew how to nudge them on the right track. I know the writing team has taken into consideration past posts on the forum that called them out for problems with Living Story Season 1, and I have actually seen them attempting to implement changes based on that feedback. So I do know they’re trying. I keep putting faith into the team to lead this game in the right direction. I’m waiting to see what Heart of Thorns brings. Sorry, when I said “text” I was implicitly referring to the quest text – I should have been more explicit about that. As far as I know, “reverse” localization only applies to the quest text. I won’t really go into elaborate details about how the beforementioned games behave story wise as both Wren and the other commenters already mentioned most of the things I would say. I’ll just go on to share a few of my thoughts for how I feel about the topic. Truthfully when rating a game or when playing one I look for that little something that calls out to me. While the story is a big part of any game and truthfully something that appeals to me the most, however if a game only has a great story then I feel that I would prefer to just read it as a book rather than a game. I feel as if sometimes the writers just burn themselves out as they are forced to mass produce content to keep players interested. In hindsight that might be why some titles start out amazing but degrade in quality as time goes by. I think the reason for many games going through a process like that is that the developers need to keep the players entertained. Though let’s face it, in today’s world many gamers are going through content really quickly, often not really even properly reading through the story or lore that might accompany an expansion. Just get the achievement and be done with it, go do something else. I am not blaming players for this, after all there are companies who just create content at their own pace and are successful, though they have a large and loyal player base, so they can go on like that. Many don’t have that, so they need to keep players interested. I didn’t intend to mean that story is the only thing important in a game. But I don’t think we should just shrug our shoulders and ignore bad story just because that’s the way MMO games have done it in the past. Nothing will change for the better if people just accept things they way they are without question. Sorry if what I wrote came out that way. I was giving my opinion on this, not to mention you didn’t come across as stating that story is most important. It’s just my thoughts are a bit chaotic today. I’ve been trying to think of a reason why the decline exists. Still you are right, if nothing changes t won’t stop but will be getting worse. I sort of ran into this issue when playing WoW. A lot of people just do the game to level or get better gear, which while getting better gear is nice it is a pain when it is at the expense of a story line. Another issue is grinding the same things over and over, either for gear or reputation. It gets very boring very fast, especially if you have to do the same quest every day to get what you need. The best reputation grind I ever did in WoW:MoP was for the Tillers, and that was due to the variety of quests and ways to get reputation. Even then it could still get boring. Also of note, WoW has a lot of old content, which is interesting for story line to go back through once in a while. The problem is that a lot of old questline content ends in either dungeons (which if you are leveling is hard to queue for, you level too fast to be able to queue for the dungeon, or you can’t defeat the dungeon by yourself and no one else wants to do it) or raids (which either require people and no one wants to do it, or are not offered anymore since the content is so old). Also, some of the really interesting old quest lines sometimes require reputation in that group, which is impractical while leveling if you also want to get to newer content before the next update comes out. I know that a lot of the grinding is due to ‘trying to keep people busy’ so they don’t complain about having nothing to do while waiting for new content, but I am not sure that making it so you have to grind the same thing over and over for months on end is the best way to do that even if it is the easiest method for those that make the game. Since I am not involved in any way at all in the making of MMOs, I don’t know how hard it would be to ‘slow down’ the main story line so people don’t rush through it as fast instead of creating ‘grinding’ situations. The best way I can describe how I feel about it is using musicals. Some old musics had musical numbers where the plot was almost dropped as everyone sang and danced and then the plot continued after the song. This had a jarring effect, and a ‘what was the point of that?’. Later musicals, such as ‘Fiddler On the Roof’, continued the plot through the song. It gave it less of a ‘stop go’ feeling and smoothed out the pace, if that makes sense. I didn’t play enough WoW to get into the issues you described. I just pushed through all the low level content I could find. The story was sometimes there, sometimes not, but I don’t tend to worry about quest text as much as I do story and plot highlighted through cutscenes. I thought the MOP starter area was pretty interesting and thought out overall. But, again, I haven’t seen anything high level there yet. A lot of the lower level areas do have pretty good quest plot lines if you don’t level too fast through them(though there are some that are random ‘time wasters’). The slow downs occur where an expansion ended (starting around level 50). It was probably to slow people down before the next expansion came out and major reputation grinding that can never be accomplished in a reasonable amount of time while leveling. It is really noticeable at level 70 and 90. Level 80-85 runs into issues since it has really interesting areas (such as Deepholm, Hyjal and Vashj’ir. The problem is that you level too fast through an area, so normally you have to pick one and miss the others or not finish an area so you can move on at level 85. MoP ran into a similar issue. The leveling quests are normally quite interesting, but you level too fast through an area. If you want to get into a raid (especially in a medium/low population server) it tends to be impractical to take a long time leveling. Timeless isle is a huge boring time-waster in MoP and while parts of Isle of Thunder aren’t much better, at least it has more variety and single person scenarios to make it a bit more interesting. Supposedly WoD is better about some things (more levels per area to give you more time in an area, making the player less of a peon, and more single player scenarios-like Isle of Thunder) but I haven’t played since MoP due to major lag issues (not our internet provider but one of the go between providers not playing well with others, sigh). The main thing I guess I am stating is that an expansion to expansion game mindset is a bit frustrating. It is a rush through the leveling to the end, and then wait. All the good gear and raids are at the very end of the level cap, rather than scattered throughout the new levels. There is no reason to take your time while leveling and every reason to rush to the end and then people complain about being bored and how the next xpac is taking too long. While I do have a complaint about the raid centric focus since the only way to get good gear is in a raid and that requires having a reliable good group or relying on other people, it is an MMO game, so probably to be expected. I understand it and won’t rant about it like forced PvP. I just think it might be a bit better if they spread out the raids through the levels instead of having them all at the end. Though I am also an advocate for giving good gear (as in raid worthy) if you take the time and go through the whole quest line rather than rushing through to the raid (raid level gear is really nice for world rares or mobs so you don’t get near death every time). The Celestial and Ordos battles on the timeless isle were sort of like what I said, but still require a lot of people, and so are dependent on whether or not groups are forming, meaning that Tuesdays really easy group days due to the reset, but later in the week and Mondays can be extremely difficult. Of course, all of that is getting off the plot line issue, but I guess I think that single person scenario(s) with a good storyline and good gear after it is completed might be a nice alternative to raiding to offer (in an either or case). At least three slots can be covered by crafted gear. Followers eventually can be sent on missions for epic gear as well. For slots that you haven’t managed to upgrade one of those two ways – yes, I know LFR is technically still a raid, but it’s not something that requires a huge time commitment or even a regular group. Oh, and Apexis Crystal gear, too. Theoretically, it would take some time, but it’s entirely possible to end up with a set of 640+ gear without really talking to a single person in game, ever. This is a fascinating topic. I could and very probably will write a post or even several on it. For now though just a few thoughts. In most fields of endeavor there’s a hierarchy and I think writing has a very clear and evident pecking order. Writing is an extremely versatile, flexible talent that has a vast range of potential applications. It’s possible to make a living by the pen in all kinds of ways. 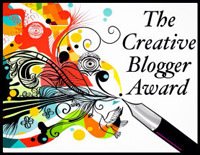 The most skilled and talented writers and also those who are the most driven and creatively-motivated, however, will probably want to work in the areas that afford either the most respect, the best financial rewards or, preferably, both. Writing the words for video games is unlikely to hit either of those targets close to the center. It’s a low-culture, highly commercialized, collaborative process with notoriously poor working conditions, poor job security, less than impressive pay scales and, as far as I am aware, no possibility for ownership of creative rights or royalties. It seems very similar to where writing for comics was before the huge upheavals and legal battles of the 80s and 90s. After those, comics writers were able to become very wealthy, their status rose considerably and writing for comics became a significantly more appealing career choice for aspiring writers. It’s a very complicated story though. Many writers hanker after the huge financial payoffs movies offer yet, by their own account, movie writers are some of the worst-treated writers around by their employers and stand well down the status ladder in the collaborative artform of making movies. Poets, on the other hand, famously struggle to earn a living and yet have one of the highest ranks in the writers’ pantheon. We could argue and debate the varying rewards and positions of every type of writer but I don’t think there’s much of an argument that writing for video games is nowhere near the top. And even within the writer’s ghetto of video game writing I would guess writing for MMOs comes quite way down the status ladder there too. Consequently I feel we are quite lucky the writing is anything like as good as it is! Until video-game writing can match the earning potential and/or cultural status of options like movies, tv, novels, the theater, poetry or even, god help us, comics it’s going to attract writers who don’t have the chops or the determination to make a name for themselves in those fields. Fortunately for us we do seem to get quite a lot of solid professionals, able to turn out competent commercial product on a par, as I said, with the equivalent in similar industries, namely commercial cartoons, mass-market commercial fiction and the like. That seems quite appropriate for the form and its not a criticism. A good commercial cartoon can have a lasting cultural legacy (viz Scooby Doo). We don’t expect Dostoevsky from soap opera so we probably shouldn’t expect Pynchon in MMOs. Which makes it all the more exciting when, occasionally, we get something much better than we were expecting. That’s a very interesting and very sad thing to wrap my head around. I don’t personally know any writers who work with game developers, so I don’t know first hand the type of environments that they work in. It may be true that they are not the creme of the crop and have really crummy jobs in terms of pay, environment and recognition. 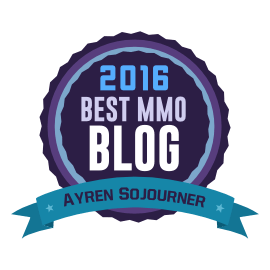 Anet writers seem to be lauded a bit more, though. I might be wrong, but I got the impression that they were fairly respected among their team. That could be an exception to the rule, however. A writer can’t do the job alone, though. All writers (even me) require an editor to back them up and point out the mistakes. I have to wonder where are the editors in all this, too. It’s just very difficult for me to grasp the idea that a whole team of adult writers and editors can completely miss very basic plot and character mistakes… the stuff you learn in your intro creative writing classes in college. There’s not a single competent voice on game writing teams? You’ve got me very curious now, and I’d love to see you expand some of this into an article. 1) The term “Living Story” appears to be used more to refer to the evolution and change of zones over time to tell some kind of overarching story, hence the term “Living” ahead of the story portion. But for people who follow GW2 closely, there is really one conclusion. The writing team doing the bulk of the Living Story writing simply aren’t that good. I don’t know if it’s because they’re writing by committee or someone from top down has imposed some kind of laundry list of badly plotted plot points they’ve got to hit each episode or else or if they’re just somewhat less versed with the lore, or the tight deadlines are crippling because there’s just no time to check the plot for holes before it has to go to some other department for production, or if something is being lost in the division of roles and the writers are imagining up things the level designers find it hard to produce for technical reasons or something else, but there you go. The good news is that they -are- open to feedback and they do keep iterating and striving to improve this quality, but by now, we’re all kind of used to hits and misses. Sometimes they nail it, sometimes…um… less so. The entire team that conveys the plot (not just the writers) have two strengths. Their cinematic cutscenes (with the art) are spectacular, and we see that they’ve moved to rely on that quite heavily, and they’re improving their general storytelling via animated cutscene. And when given time, they’re very good at little characterization details of NPCs and small scripted events, like those in Kessex Hills (the fisherman trying to sell his fish) and Camp Resolve in the Silverwastes (the charr cook that needs a hair net *ahem*). 3) Some of this could also be due to the length of time between episodes. Maybe on paper it all sounds really sensible when you take 8 episodes in sequence, but by the time it gets stretched out and presented, with month long breaks in between, something ends up rather lacking? For better or worse though, we have what we have. It’s either acceptance of the mediocre, rejection of the game as presented, or an interesting intellectual exercise in coming up with better possibilities and posting that feedback in the hopes that the team will try to do better next time. For example, how would YOU do it? You have Caithe, Wynne and Faolain in a cave. You’ve got to hit the plot points that Caithe kills Wynne, Wynne reveals her secret to only Caithe, and that Faolain is a meanie poo head in the span of time of that cutscene. This is going to be long. Sorry in advance! 2- I agree on this. The writers who do the work for world building and atmosphere are just wonderful. For the most part, the dialogue is pretty solid, even in the Living Story stuff. It’s just when they try to write anything beyond clever one-liners and weave a solid plot, it all falls apart for some reason. 3- I knew that someone would ask me to do it better sooner or later. A complainer needs to offer suggestions, not just complaints, huh? I did offer thoughts on alternatives to killing Wynne in the previous post. As a writer, I’d not have written myself into that corner to start with. If I HAD to kill Wynne, I wouldn’t have written Wynne as such a passive character that allowed herself to be acted upon. I know she was supposed to be a peaceful, non-aggressive person. But the moment she rolled over and died for Caithe, she became less than a character, she became nothing but a plot device for the writers to use. I’m not sure if the writers were trying to make her a peaceful martyr. But it didn’t work. I don’t believe that violence is an answer to everything, but should I have written this section, Wynne would have gone out with strength and conviction, not with a miserable “Kill Me” whimper. Yes, she is a peaceful spirit, but it would have been interesting to see her stand her ground, knowing that she was doing so in order to protect the other Sylvari. I mean, she was going to die anyway, right? Here she is cornered, frightened and grief-stricken by seeing her centaur friends slaughtered mercilessly. I’d have to really brainstorm the scenario as these are really rough ideas. But what if Wynne hadn’t gone down so easily? What if she chose to defend the secret rather than giving it up? What if that led to a conflict that still ended with Caithe killing her? This could have been Wynne’s moment. Her final stand. It would have shown growth in Wynne’s character. It would have defined her as a character, not a plot device. Caithe could still feel the guilt without Wynne being a passive pincushion. Caithe may also realize the dire importance of the secret due to the fact that Wynne, usually peaceful, was moved to act out of her normal character to prevent the secret from falling into Faolain’s hands. Maybe Wynne’s dream-vision is passed to Caithe in Wynne’s last moments (they were in a Forgotten magical place, after all). Rather than just dumping it all out in plain words, maybe Caithe has to struggle with hints of being dragon-made, maybe questioning the whole thing internally at first. I could see her returning, grief-stricken and internally-torn, to the Pale Tree, the one gentle light left in her world. Her mother imparts upon Caithe that her worst fears are true. But the Pale Tree is also so full of grief for Wynne’s death that she may pull away from Caithe, leaving her to struggle with all of these things by herself. Again, I’d really need to sit down and brainstorm this with friend writers. But this would be more the direction I would have taken if I had a choice. Mostly, don’t de-characterize Wynne by turning her into a plot device. Give her personality, strength and conviction. If you want us to feel for Caithe, let’s see her confusion and struggles. Don’t just suggest that something in Caithe changed because of of what happened, let us really see it. Even if it’s Caithe’s conflict after the fact, or maybe even her pulling away from Faolain. She does lie and hide the secret from Faolain at the end, but I’d like to see more. It doesn’t need to be a drawn-out emo thing, either. How does Caithe respond to the dragon-minion thing? Does she ultimately make the choice to strengthen herself to rebel against the idea of being used by Mordremoth? I could see that being in her character to do. Those are some good ideas and points, especially the part about Wynne’s passivity. One idea that struck me after reading your thoughts was: what if Wynne stopped being so passive? She’s desperate, especially when Faolain indicates she’s perfectly up for torturing the secret out of a fellow Sylvari. Caithe could have been arguing, weakly, with Faolain about the necessity of torture, which imo, would have been in character. Say, a hand on Faolain’s arm or at least verbally stopping her for a moment, and then Faolain yanks free and goes off to do her berry picking thing because she’s an insensitive jerk. But Caithe grabs the dagger as Wynne is holding it, stopping the plunge. Wynne is trying to push down, Caithe is pulling in the opposite direction, they’re stuck for the crucial seconds it takes for Caithe to ask if Wynne is out of her mind, what in Tyria are you doing? Wynne can continue her little spiel/exposition about everything that needs to be said, and on Caithe’s part, instead of unsheathing her dagger and stabbing Wynne abruptly and unexpectedly like what happened, all she has to do is either relax her grip or help Wynne do what she wants, taking over the burden, essentially. Definitely prefer your version to what was there. Just a little brainstorming session could have made a much more interesting storyline. 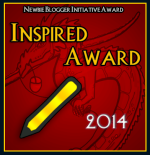 If we can do it, I’m sure Anet writers can, too! Using this for Community Spotlight on the new episode of Couch Podtatoes (with your blessing of course). Great discussion point! I had played a few free-to-play mmorpgs, and one of the few things that stood out since I started on World of Warcraft is the lack of very good story material in those other games and that they didn’t even really have much of a plot. I started with a human as my first character on WoW, and I’m finding that it is a great place to start out for story material since so far I am finding it of better overall quality than those in Kalimdor for the Alliance (though I haven’t gone through all of Kalimdor and the Eastern Kingdoms yet). The worgen started off really strong with story, but I was disappointed when they ended up in Kalimdor instead of staying in the Eastern Kingdoms, and I ended up sending my worgen to the Eastern Kingdoms instead since I didn’t want to play through Kalimdor again. And honestly, I couldn’t think of staying at max level all the time with a character, except for gaining achievements, pets, or mounts. I’d probably delete and remake characters, going through the story material that I like with them instead of staying at max level with absolutely nothing new to do and nothing to work on. And about the leveling too fast and story problems, I kinda find it better to go through places in sections with different characters. Like with my human, I followed around the Eastern Kingdoms path and mainly focused on the southern part of the continent, went to Outland and ended up leaving when I could, stayed in Northrend until I had much of it done (and there was some good story material there and a particularly memorial cutscene for me in Dragonblight), skipped over much of Catacylsm, and I would go to Panderia with him if I could figure out how to get there. But with my draenei, I went through a path through Kalimdor and will focus on Outland (where she is currently), skip Northrend, and do Cataclysm. In Kalimdor, there are several different paths to follow if you go by level alone, and I’ve been taking my night elf where my draenei hasn’t gone to there. It gives some variety with playing a new character again. My characters share crafting resources through the game’s mail system so it’s not that much of a problem for me so far with leveling professions if you have several characters with the same gathering professions. On the upside, though, with how leveling is structured, it tends to slow down if you stay long enough in any particular area. As you go up in level, the enemies and quests in that area give out less and less exp until it falls to and stays at 0. You aren’t going to level up a character to 100 by staying in Northrend alone so you have some space to do some other things before you hit the max level. The game may not be as challenging in gameplay, but you’re not going to miss out on a lot of story material by leveling too quickly. And speaking of writing, you have a typo. I think this is suppose to be “by” instead of “my”: Players aren’t entertained my fetch, kill and fedex quests anymore. Anyways, it would be nice to see better overall story in games, something a bit more on par with Final Fantasy in general (though with FF12, before I had stopped console gaming from a lack of funds, the game is fun, but the story bored me and the characters lacked a more in-depth development and characterization more commonly seen in the other FF games that I’ve played). I am still not convinced that story is truly necessary in a MMORPG. At least the amounts we’ve been force-fed lately! When I first started Ultima Online, I had no prior knowledge of the Ultima series nor had I played a MMORPG before. I watched the opening cutscene which was largely a justification for servers existing and that was it. UO lacked quests, had minimal in-game lore, and NPCs barely functioned as anything more than robot shopkeepers. Instead, the stories arose from the interactions I had with other players. I started on a new server, so the final spells had yet to be completely discovered (they had to be found, added to a spellbook, and then transcribed by an Inscriptionist tradeskiller to be sold). The grind aspects of the game went better (and quicker) with friends since the game’s minimal healing worked best when done to an ally rather than yourself. They were also laid back enough that you had time in combat to chat and meet people. Other aspects of the game, such as monsters who could loot your corpse or having to fight your way back to your body if you couldn’t resurrect well enough, also supported the idea of finding friends quickly and helped create stories of heroism and villainy. Open-world housing gave players the tools and an actual setting to roleplay or establish things like taverns, shops, and even museums. I observed founding of a “city” on a small island which had elections and everything for mayor! I am not against stories and what not in my MMORPGs, but the genre has evolved more and more toward the pre-written stuff doing the story-telling while the world itself suffers for it. While you may argue that my settling for bad story is a tacit consent for it to continue to be bad, it is mostly my inability to get rid of ALL of it, good or bad. I want virtual worlds, not single-player games I play cooperatively. I’ve lost all interest in the GW2 Living Story, not because of the plot (which I find engaging) but because of the tedious LS content. Every boss fight at the end of each LS chapter I have seen has been a tedious, drawn-out, boring encounter that has all the entertainment value of eating toothpaste. Unfortunately, tedious, drawn-out boss fights are an MMO tradition. MMO players figure the mechanics of a boss fight and then they’re expected to spend the next 30 mins to an hour (or more if it’s a raid) repeating the same thing over and over because that’s supposed to be ‘challenging’. This is what has passed for entertainment in old-school MMOs. ArenaNet as made some evolution away from these traditional flaws with GW2, this is not one of them. Remember when Luke Skywalker crashed his X-wing 15 times before he managed to destroy the Death Star? Of course you don’t. Because that a horrible way to tell a story. BUt that is how the story is presented in every MMO because every developer thinks grinding timesinks are more important than dramatic presentation of the plot. Until developers start to realize that if they want to tell a compelling story, they need to design their mechanics to support the presentation of the story and the sense of drama, not some moronic concept of time-wasting, grinding ‘challenge’, MMO players will never see stories that come anywhere close to what we see in single player games. I suspect that we players are the reason that the story is given little notice, I’m afraid. 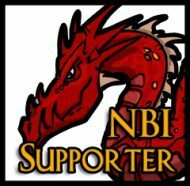 Our choices, our decisions, our complaints make up the feedback that is pushing ArenaNet in the direction they are going. Let me cite a couple of examples. One very significant difference between the “Personal Story” and the “Living Story” is that the Personal Story features multiple branches at every level. They do bring the branches back together every 10 levels, but within each arc you have a myriad of options, with high replayability. The player base’s reaction to the Personal Story was very negative, focusing on two areas in particular — the amount of “screen time” given to the NPC Trahearne, and the amount of “two people talking at each other” animations. 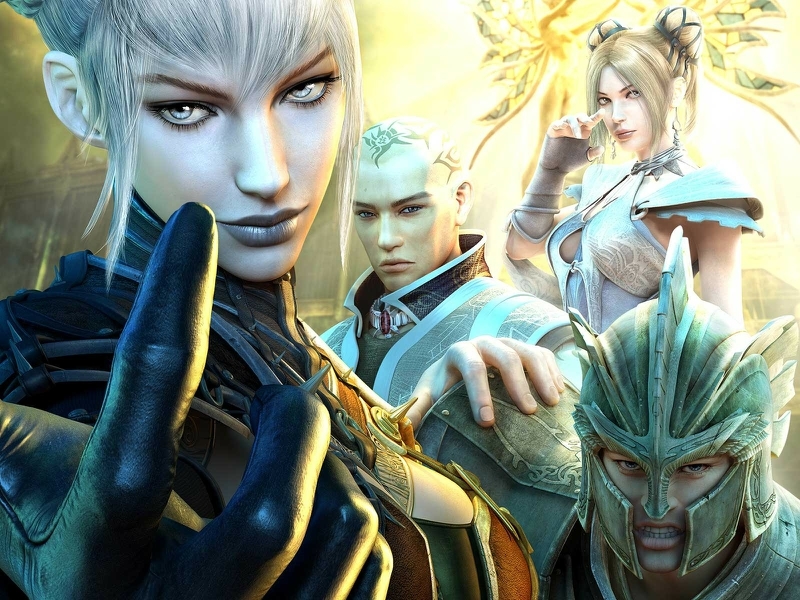 ArenaNet has responded by making the player the focus of the “Living Story”, and replacing the “two people talking” screens with fully animated in world scenes. Of course, nothing is free — multiple branches with complex dialogs leading to different destinations have been replaced with lots of completely linear pop-up dialog boxes intermixed with these animated scenes, and the “story” is now a railroad. But it is prettier. Likewise, the events that have proven the most popular are events that can be farmed in large zergs, from the self-organized back and forth runs between two or three stations during “Lost Shores” to the deliberately produced ones in the “Queen’s Jubilee”. Given the positive feedback for minimal story, good graphics and repeating, zerg-friendly events and the negative feedback for those times when they have attempted more complex or subtle storytelling, I’m afraid from a business standpoint we shouldn’t be terribly surprised at how this ends up. So, yes, we are getting the Michael Bay epic we demanded of them.